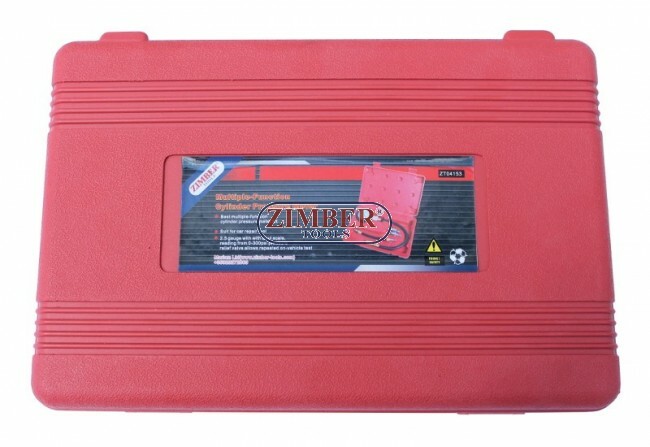 Compresiometru de benzina ZT-04153 - ZIMBER-TOOLS. 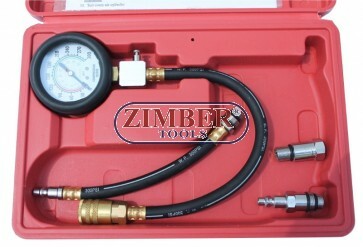 1.Large 3-1/2" diameter gauge with color-coded easy-reading scales. 2.Extra long heavy-duty rubber hose and 14mm/18mm manifold adapter. 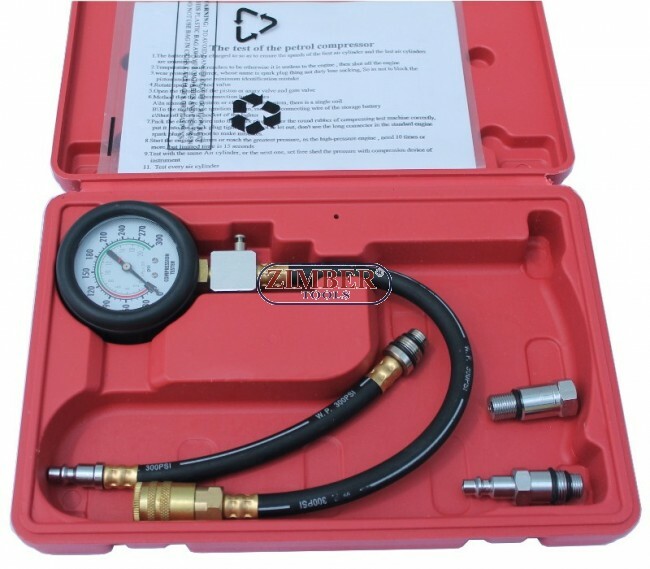 3.Checks for worm of defective parts in fuel pumps,vaccum system.